the Marathon Electric Motor that you need! 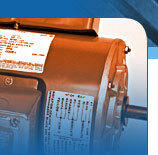 box, request by Contacting Us or call 800-279-2267 for the electric motor that you need. We'll get you the information you need to make the right choice, at the right price. RS Electric Motors is the industrial motor company you can rely on for DC and AC motors, drives, and pumps. Service and repair of Marathon motors is also available. Marathon motor company was named "Wisconsin Manufacturer of the Year" for 1998. This award is based on criteria such as: Company Profitability, Commitment to Employees and Local Communities, and Effective Quality and Product Development. Marathon Electric has been a leading manufacturer of motors and generators since 1913. That's 86 years of experience! Marathon motors are truly "Motors for the long run!" RS Electric Motors is the industrial motor company you can rely on for DC and AC motors, drives, and pumps. Service and repair of Marathon Electric Motors is also available. Get the information you need to make the right choice, at the right price. Call us and we'll find what you're looking for right away at 800-279-2267. Contact us and we'll respond ASAP.